Roger, the well known movie reviewer and a prolific writer died yesterday after lengthy medical complications. I did not have any personal contact and only have read a small portion of what he wrote, but he had a positive impact on me and millions of others. I like to think I write movie reviews, but my goal is really to give a little different perspective and maybe a nudge. Roger looked at movies in much more depth and consequently his perspective was more detailed than I aspire to. My local paper, The Hamilton Spectator carried his reviews and I found myself checking them as almost the first thing to read and learned to value his judgments. I discovered his website and caught many items not covered in local papers. Barrack Obama commented that if Roger didn't like a movie he was honest about it, but also strong in his praise of movies he did like. His credibility was very important in drawing attention to worthy movies that otherwise couldn't attract attention. Twitter has opened up a lot of doors. Twitter is criticized for being full of trivial time wasting information. Roger would sympathize with that view and tried to send only messages that he thought worth somebody's effort to read, most often with links to something meatier. In one article he explained his philosophy on twitter. I flagged it, but checking today it is not available. As I remember he did feel Twitter was a useful way to get your messages out to a broader audience, but would be more effective if only used when you had something worthwhile to tell the world. He wasn't one of those who sat by the Twitter feed, but rather somebody who worked out what he wanted to say and used some technical service to spread the tweets throughout the day. His political and philosophical views were similar to mine, but his were better articulated. 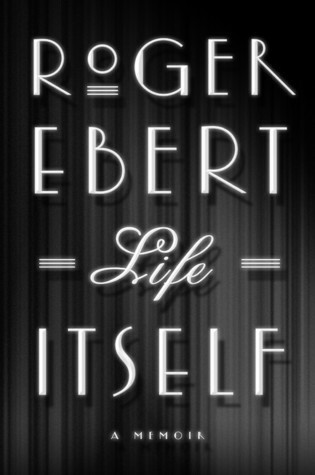 Reflecting his ability to write Roger was the first film critic to win a Pulitzer Prize. On his website were a lot of movie reviews of course, but some of them were by correspondents and he seemed fond of using people from different parts of the world with their own unique perspectives. Like many reviewers he liked doing a year end summary of his favorite movies. One year he had two lists--one of the commercially released American movies and another of foreign art movies. As someone who attended a lot of festivals he was well aware of movies that were essentially inaccessible to most Americans (and Canadians). What most of us see are reviews of movies that are playing near our home town. He didn't just attend festivals he supported them. The Toronto International Film Festival (known as TIFF) gained a lot of credibility with his presence and his praise. Festivals are where he would encounter not only foreign movies, but also independent movies (those not made and distributed by major studios). His support enabled not only the movies to be more accessible, but to make movie lovers more aware of them. I read his book "Life Itself." He had a life that may have been focused on movies, but he had a broader view. Went through a period of alcohol abuse and towards the end had more than his share of physical challenges. He persevered with the encouragement of his wife Chaz and kept doing what he enjoyed and felt gave his life some meaning. Movies are important and he made us think about them in more depth. The Metric system needs to be more universal.